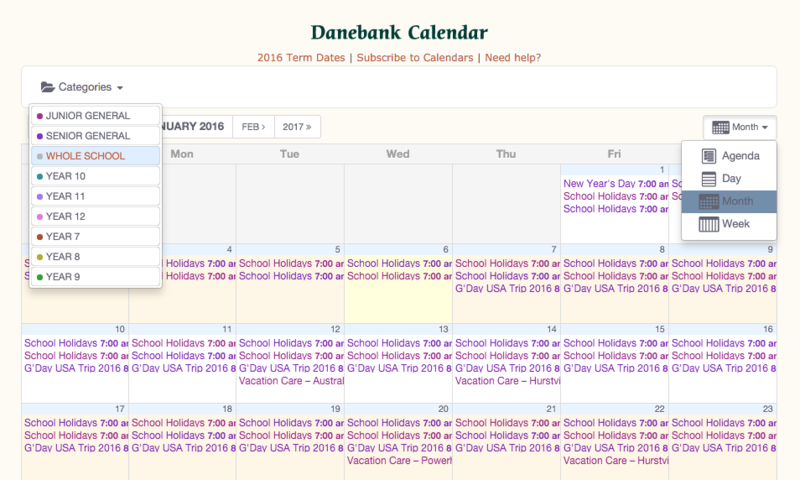 There are two menu items to help you view the calendar events in the easiest possible way. 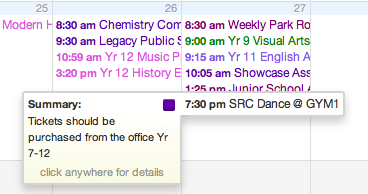 The drop down on the right allows you to change the formatting of the calendar to Month, Week, Day, or Agenda. This is like zooming in and out. The drop down menu on the left allows you to filter the events into categories that are relevant to you. For example, if you have a daughter in Year 7 you would select Whole School, Senior General and Year 7. To view more details of an event, you can click on it or simply hover your mouse over it as shown in the images below.